How often should you replace your motorcycle helmet? Most motorcycle riders and helmet manufacturers will likely tell you to replace your motorcycle helmet every five years. This, however, is a general rule that does not take into account either the quality of the helmet or the rider’s treatment of it over the five years. Motorcycle helmets are, for all intents and purposes, disposable items. They are designed to protect the rider’s head in the case of an accident – one accident. And they are created to withstand the tremendous forces that may occur in a motor accident, which is why you should not believe those saying that dropping your helmet renders it unusable. Of course, what you drop it, the height of the drop matters, so you should always check for your helmet’s integrity. The lifespan of your motorcycle helmet will also, in part, come down to you. Storing your helmet in dry conditions, on even surfaces and away from chemicals will ensure its integrity for a longer period. The easiest way to go about this is by keeping your helmet in the bag it came with. Cleaning your helmet properly will also help increase its longevity. For the outside shell of the helmet, you can use any cleaning product so long as it is not a petroleum-based one – baby shampoo is the safest recommendation out there – on a microfiber rag or even a toothbrush. Cleaning the inside padding and liner of your helmet is a little trickier. First, remove all the items you want to clean from your helmet. The recommended way of cleaning them without damaging the foam or fabric is by using compressed air. As we have mentioned, helmets are a one-time use kind of protective item, so make sure to replace your motorcycle helmet after every crash. Helmets may appear to be in sound condition after crashes, so keep that in mind, because it might just save your life. Of course, there are those accidents in which the rider is lucky enough not to hit his head, but even in those very fortunate cases, you should not forget to assess your helmet’s internal and external integrity. Check the following parts before every ride, even if you have not been in an accident, in order to ensure both yours and other motorists’ safety. Make sure the outer shell is not scratched, cracked, or dented. Check the lining for bumps, humps, or tears. Do not ride your bike if your helmet visor is scratched or bent. Motorcycle helmets have various lifespans depending on quality, but you can not only reach its maximum life expectancy but possibly increase it, by treating it with proper care. 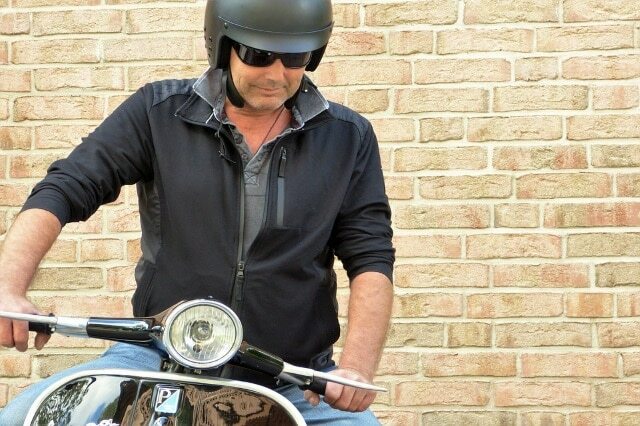 When it comes to the lining of a motorcycle helmet, the most important things are storage and wear. One thing to know about storing your helmet is never to hang it up on anything that may damage the foam padding or fabric lining. While wearing your motorcycle helmet, you should try to cover your hair with an on-head liner, bandana, or a motorcycle balaclava. This will keep the helmet liner clean of sweat, hair grease, or any other hair product you might want to use. Without it, the liner will deteriorate faster than normal, and as such, it will require more frequent replacement. If your helmet starts feeling a little loose on your head, or you notice significant deformation of the helmet liner upon inspecting it before a ride, then you should absolutely replace the liner. Again, the period after which you should consider replacing your helmet liner doesn’t completely depend on you. Different helmets may have different quality standards and as such, the liner quality will vary. Make sure to at least buy helmets with easily detachable foam pads so that the process of replacing the liner becomes a lot easier, since you can simply remove the cheek and neck pads, then add your new liner. A third-party helmet liner will typically be better than the default liner in the case of cheaper helmets, so replacing it with a liner of newer technology will increase the overall protection of the helmet. Another important factor of the safety of a motorcycle helmet is the visor. You should always have a replacement visor for your motorcycle helmet, in case your current one gets scratched or bends. 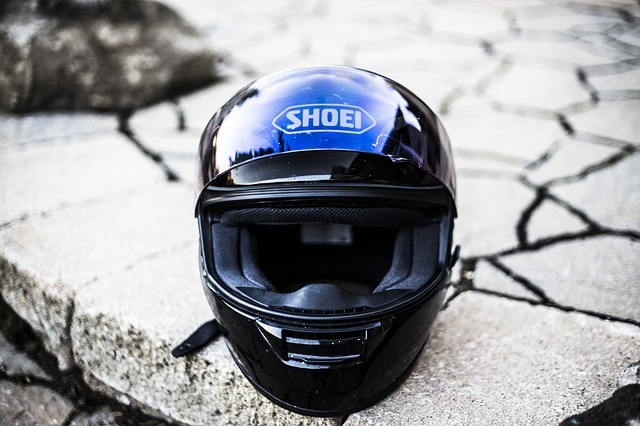 The deformation of your motorcycle helmet visor can be avoided by storing the helmet properly, on an even surface, and by avoiding touching it directly. Scratches, however, are bound to happen on the road, after all, visors are designed for the purpose of shielding you from everything that may become a dangerous projectile at high speeds. These factors, again, will differ from one helmet visor to another, depending on several things, such as the build material, chemical treatment, and coating, but also the weather you will subject it to. Brand quality aside, however, it is never a good idea to skip checking your helmet visor for scratches and bends, because it will most definitely affect your vision while riding your motorcycle. When it comes to the frequency of replacement, you should consider several criteria. In perfect conditions, your typical visor should last you from 2 to 3 years. This period will drastically shorten depending on where you typically ride your motorcycle. For commuters, you will most likely drive at higher speeds, so your visor will be more prone to scratches than, say, a city rider’s. It’s also important to keep in mind the climate you live in. Wet conditions can strip away some of the treatment that helps the visor to stay clear. The method for replacing a motorcycle helmet visor will differ depending on the type of helmet, but the process is typically straightforward. You should always consult your manual so as to avoid damaging a brand new visor when installing it.